Hey all of my awesome followers. 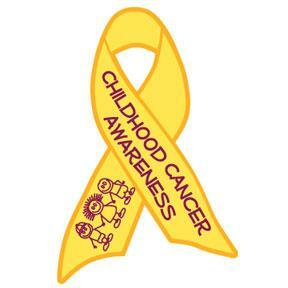 I'm working on a project for one of my college classes and I'm focussing on pediatric cancer awareness. I would be appreciative of anyone who could take the time to take the survey I made. There are actually two surveys since it only let me do ten questions at a time. If you take the survey please don't look up answers, it doesn't matter and it is anonymous. The point is, awareness and I am trying to see what people are aware of when it comes to childhood cancer. I greatly appreciate anyone who can help me on this. Thank you in advance, you rock. Great surveys, love! So proud of you. I know you are going to make a huge difference in the lives of these kids and their families one day. Heart you BIG! aww thanks love! I appreciate it and I hope I can make a difference some day :) <3 you big back! I did the survey for you, and I'm going to get others to do it as well. Will you be posting the answers after you get everything you need? This is very interesting post. You are a very skilled blogger. I’ve joined your rss feed and look forward to seeking more of your great post.